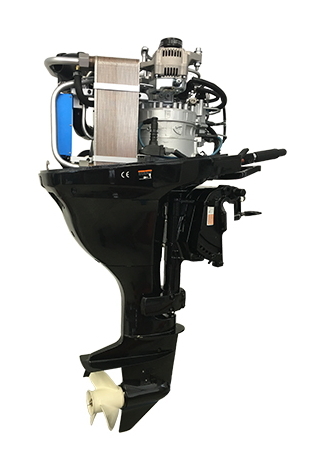 The compact design and the high power-to-weight ratio of our engines, are responsible for the small size and low weight. The less vibrating and smooth running of our engines gives us the advantage to cut down on vibration and noise dampening and still have lower noise emissions as competitors. Compared to available products with similar noise emissions, we save between 25 to 50% of the weight. Our systems run on multiple fuels, thus they can be operated in crisis regions, where the supply of a certain fuel, as well as the quality of the fuel can‘t be guaranteed. The Marine Sector has high restrictions for the used technologies, especially in commercial use. Ecological and economical, as well as safety factors play a huge role. The expectations towards Marine drives are equal across fields of use. Whether in charter, commercial, police or military use, requirements are always performance, reliability and economics. Another important role plays the size and weight of such a unit. Wankel SuperTec is able to meet these requirements with their products, having a clear conscience. Battery charging and Heating System for diesel locomotives: Supplies electrical power to the board network and thermal power to heat the diesel engine! 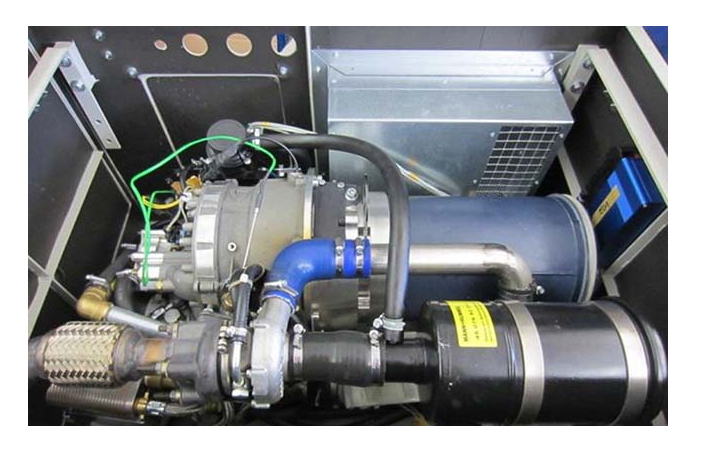 The BHS ( Battery Charging and Heating System ) is a retrofit system for diesel locomotives. It acts as a power generator to charge the batteries and supply the electrical power grid. The resulting thermal energy is used to maintain/ keep a corresponding thermal level of the main diesel engine. This system minimizes the fuel consumption, noise and exhaust emissions at a standstill of the locomotive. 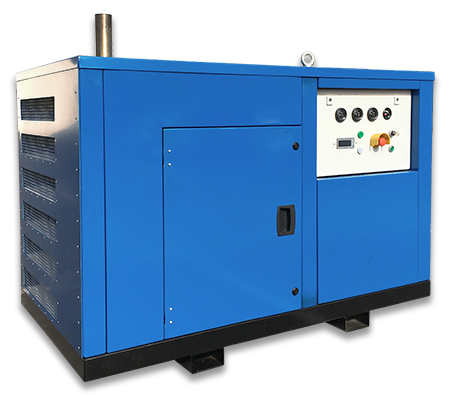 The system also preheats the engine after a long standstill to the minimum temperature required for starting, or keeps the operating temperature at stops upright. The heat output can be increased by additional electrical heating cartridges.